Hi Everyone! 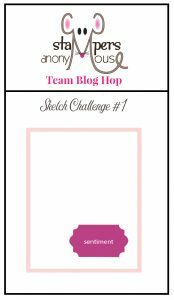 This is the first time that I have participated in a blog hop, and I’m really looking forward to seeing the contributions that my friends are creating in response to the challenge of creating a card based on this sketch. 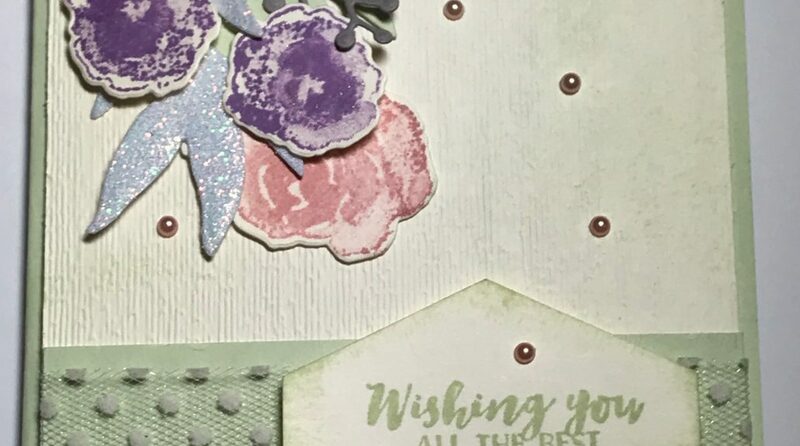 I decided to use Soft Sea Foam and Very Vanilla as the base and used the First Frost Stamps and Dies. 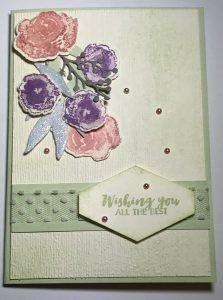 I lightly sponged the Very Vanilla with Soft Sea Foam ink and stamped the flowers in Highland Heather and Blushing Bride, adding a little Wink of Stella to highlight them. The leaves are cut from Soft Sea Foam, Pear Pizzaz and Sparkle Glimmer. 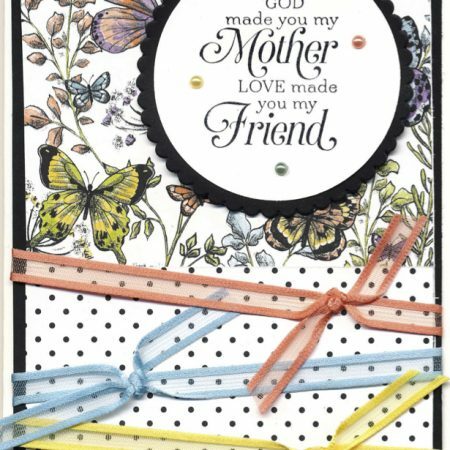 The ribbon is Very Vanilla Polka Dot Tulle and the sentiment is stamped in Soft Sea Foam. I added a few Artisan Pearls to finish it off. The beautiful First Frost set is in the 2018 Holiday Catalogue and is available to purchase until 2 January, 2019. I’ve just got back from a very exciting time in Melbourne last weekend when we went to the SU Convention. Lots of fun and creativity!! More on this at another time!! 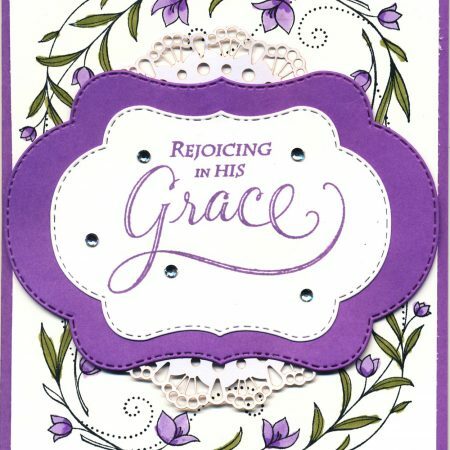 Beautiful card Elizabeth! 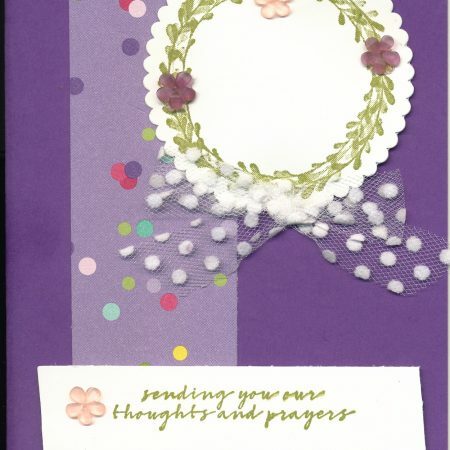 Congratulations on your first Blog Hop! 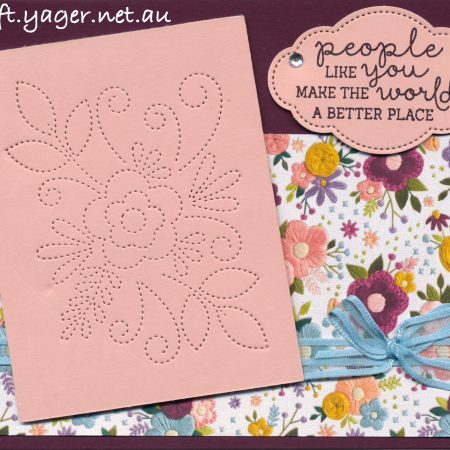 ooh I love the soft colour palette of this card, beautiful! Beautiful colours Elizabeth and great take on the sketch. Tick first blog hop done, on to the next. Thanks Meighan. I had fun doing it and have loved looking at how everyone has interpreted the sketch! I love Soft Sea Foam but struggle to use it. I love it in this card. Thank you Sharon! Enjoyed making it! Thanks Nichole. So glad I could be a part of this! Thank you Kylie! I had fun making it!